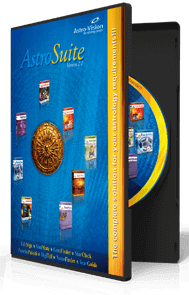 Over the years, more than ten thousand people have used Astro-Vision's Indian Astrology software for personal as well as business needs. Many have set up their own ventures generating handsome income. Listed here are some of our esteemed clients, their requirement and the solution provided by Astro-Vision. Bharatmatrimony.com is one of the leading matrimonial service providers for Indians around the world. They required an automated horoscope generator and online horoscope matching facility for registered members. The interface had to be user-friendly and simple to the end customer with 100 percent accuracy. The service also had to include Porutham, Papasamyam, Dasa sandhi and Kuja dosha checking in regional languages. Astro-Vision developed a user-friendly web solution which generated horoscopes and provided horoscope matching facility for Bharat Matrimony members in their regional language. The web application also generates horoscope reports with detailed charts, Navamsaka chart, Birth Balance and Dasa Nathan. Horoscope matching includes Porutham, Papasamyam, Dasa Sandhi and Kuja Dosha checking. The implementation of horoscope generation and matchmaking in bharathmatrimony.com has given value-added service to their customers. Even a layman can understand the generated results. In match-making cases, a member can make their decision even without consulting an astrologer. The application became an additional revenue stream for bharatmatrimony.com. Shaadi.com is a popular Indian matrimony portal serving all religious communities. They specially focus on the Indian community in US, Canada and UK and were in need of a horoscope generator and horoscope matching facility in their portal. To cater to the traditional oriented registered members they sought of an easy to use, accurate tool which generates reports in English and Indian languages. The horoscope matching facility had to include Porutham, Papasamyam, Dasa sandhi, Kuja Dosha check etc. Astro-Vision helped Shadi.com to find solutions to the horoscope and horoscope match demands. We developed a user-friendly web application which powered Shadi.com to provide horoscope and horoscope match reports to its users. The horoscope reports cover birth balance, Dasa Nathan and detailed charts, and the matching tool facilitates Porutham, Papasamyam, Dasa Sandhi and Kuja Dosha checks. Also the reports are generated in English and regional Indian languages. Astro-Vision empowered Shadi.com to provide a value added service to their customers. The horoscope generator and match checking tool are easy to use and the reports were simple and accurate. This helped its users to make quick decisions and gave additional revenue to the portal. Mathrubhumi is one of the leading players in the news and publication industry in Kerala with a whole range of publications including daily newspapers, weeklies and monthly magazines, etc. They have also developed a website www.mathrubhumi.com which has gained acceptance as a major Kerala portal for news content. It also offers many web-based services for the global Malayalee community. They required Indian astrology services complete with well-structured, easy-to-print reports for horoscope, horoscope with remedies, Gem recommendation, Numerology, etc. They also wanted to provide daily and weekly predictions in Malayalam on their web portal. With the help of web application Astrology software developed by Astro-Vision, Mathrubhumi started providing daily and weekly predictions based on the Lunar system of astrology in Malayalam under their astrology channel. Apart from the daily and weekly prediction, other services like Full Horoscope with remedies, Gem Recommendation, Numerology, Marriage compatibility checking etc., in English and Malayalam were also offered. Since the whole process is user-friendly anyone can comfortably prepare their horoscope reports from the website. The service has added value to their users. The implementation of online daily and weekly predictions in Malayalam helps in getting more viewers to the astrology channel of the website. With this facility the internet user can prepare and take printouts of their horoscope reports, Gem recommendation, Numerology reports, compatibility etc., at home. It has also increased their revenue. Manorama is one of the leading players in the publication industry in Kerala with a whole range of publications that include daily newspapers, weekly and monthly magazines, etc. They also have a website, www.manoramaonline.com which has established itself as a major Kerala portal for news content. It also offers many web based services for the global Malayalee community. They wanted to give Astrology services based on the Indian astrology system complete with easy-to-print reports for every service like full horoscope generation, horoscope with remedies, Gem recommendation, Numerology etc. 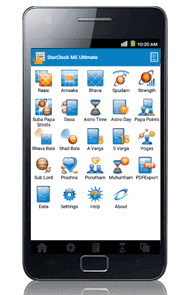 Astro-Vision developed an application which generated Full Horoscope with remedies, Gem Recommendation, Numerology, Marriage Matching etc., both in English and Malayalam. The process being highly user-friendly can be understood by even first-time visitors to the site. It has become a value added services for their users. The implementation of online astrology services in Malayalam helps in getting more viewers to the astrology channel of their website. With this facility the net user can prepare and take printouts of their horoscope reports, Gem recommendation, Numerology reports, Compatibility etc. It has also become an additional source of revenue for manoramaonline.com. Malayogamonline.com is one of the leading matrimonial service provider for Malayalees spread around the world. They too needed an automated horoscope generation and online horoscope matching facility for their registered members. And it had to be user-friendly, simple and accurate to the end customer. They also needed Porutham, Papasamyam, Dasa Sandhi and Kuja dosha checking in regional language. Astro-Vision developed a web solution for generating horoscope and horoscope checking in regional languages. The web application allows users to generate their horoscope and match their horoscope with other profiles. Horoscope reports includes horoscope charts, Navamsaka chart, Birth Balance and Dasa Nathan. Horoscope matching includes Porutham, Papasamyam,Dasa Sandhi and Kuja Dosha checking. Matchmaking is very user-friendlyand easy to understand. The implementation of Horoscope generation and matchmaking, in malayogamonline.com has added to the value provided by the portal. The compatibility results are easy to understand and the customer can take a decision without approaching an astrologer. It has also become an additional revenue stream for malayogamonline.com. Kaakateeya is a leading matrimony portal focusing South Indian community around the world. It is also the biggest matrimony portal in Andhra Pradesh. To provide an enhanced service to its registered users Kaakateeya wanted an automated horoscope generator and online horoscope matching facility with a simple and user-friendly interface. The facility had to generate reports in English and regional languages with at most accuracy, and had to include Porutham, Papasamyam, Dasa sandhi, Kuja Dosha check etc. Astro-Vision developed a web application providing solution to Kaakateeya’s requirements. Our user-friendly application generated horoscopes and horoscope matching facilities in the preferred languages of their users. The horoscope matching tool facilitates Porutham, Papasamyam, Dasa Sandhi and Kuja Dosha checks and the horoscope reports included detailed charts, birth balance and Dasa Nathan. Astro-Vision web application for horoscope generation and matchmaking helped Kaakateeya to provide a value added service to users. The easy to use application providing simple and accurate reports enabled users to make decisions without any further consultation. It also contributed additional revenue to the portal. Tamilnadu.com is a community oriented portal site. They wanted to give daily predictions based on the Moon signs to their registered members. And it had to be accurate and easy to understand. Astro-Vision provided a web application which generated the required services based on the Vedic system of astrology in English using iframes. Apart from the daily predictions, there were options for preparing additional value added services like Full horoscope with remedies, Gem Recommendation, Numerology, Horoscope matching for marriages etc. The implementation of daily predictions has helped tamilnadu.com in providing value added services to their esteemed users. With this facility the internet user can prepare and take printouts of their horoscope reports, Gem recommendation, Numerology reports, and marriage compatibility checking etc., on their own. It has also become an additional revenue source for tamilnadu.com. Sulekha.com is one of the most popular Indian internet media companies reaching and connecting millions of Indians in 24 cities in India, US and more. They wanted to provide astrology services like daily predictions based on the Western system of astrology in English for their members. These were to appear under their dashboard and public profile pages, on screen. It also had to be accurate in an easy-to-understand format. Asro-Vision developed a web application which catered to their requirements. Apart from the daily predictions, Astro-Vision also gave options for preparing additional value added services like Full horoscope with remedies, Gem Recommendation, Numerology, Marriage compatibility matching, etc., for their users. The introduction of daily predictions has helped Sulkeha in providing Value Added Services to their esteemed users. With this facility the net user can prepare and take printouts of their Horoscope reports, Gem recommendation, Numerology reports, Marriage compatibility checking, etc., from the comfort of their home. It has also generated additional revenue for Sulekkh.com. m4marry.com is one of the leading matrimonial service provider for Malayalees all over the world. They required an automated horoscope generation and online horoscope matching facility for their registered members. And it had to be user-friendly, simple and accurate. They also need Porutham, Papasamyam, Dasa Sandhi and Kuja Dosha checking in regional language. Astro-Vision developed a web solution for generating horoscope and horoscope checking in their own language. This web application allows users to generate their horoscope and check their horoscope with other profiles. The reports include horoscope chart, Navamsaka chart, Birth Balance and Dasa Nathan. Horoscope matching includes Porutham, Papasamyam, Dasa Sandhi and Kuja Dosha checking. Matchmaking is very user-friendly, and even a first-time user can operate it. The introduction of Horoscope generation and matchmaking, in m4marry.com has added to the services they provide. Even a layman can understand the matchmaking reports and the customer can take decision without approaching an astrologer, which helps them take an appropriate decision without wasting much time. It also became an additional revenue stream for m4marry.com. SecondShaadi.com is the leading matrimonial service provider for Indians looking for second marriages. They required an automated horoscope generation and online horoscope matching facility for their registered members. And it had to be user-friendly, simple and had to generate accurate reports to the end customer. They also need Porutham, Papasamyam, Dasa Sandhi and Kuja dosha checking in regional language. Astro-Vision developed a web solution that generates horoscope and horoscope checking in regional languages. This web application allows users to generate their horoscope and match their horoscope with other profiles. Horoscope reports include detailed chart, Navamsaka chart, Birth Balance and Dasa Nathan. Horoscope compatibility also checks Porutham, Papasamyam, Dasa Sandhi and Kuja Dosha. Matchmaking is very user-friendly, which even a lay man can operate. The implementation of Horoscope generation and matchmaking, in Secondshaadi.com has increased the Value Added Services provided to their customers. The compatibility results are easy to understand and members can take a decision without approaching an astrologer, which also saves time. It has also generated additional revenue stream for Secondshaadi.com. Kmmatrimony.com is one of the leading matrimonial service providers in South India. Their business required an automated horoscope generation and online horoscope matching facility for their registered members. Since the users were common people with little or no technical experience, it had to be user-friendly, simple and accurate. They also needed Porutham, Papasamyam, Dasa Sandhi and Kuja dosha checking in regional languages. Astro-Vision developed a web solution for generating horoscope and compatibility checking in regional South Indian languages. This web application allows users to generate their horoscope and match their horoscope with other profiles. Horoscope reports include charts, Navamsaka chart, Birth Balance and Dasa Nathan. Horoscope matching includes Porutham, Papasamyam, Dasa Sandhi and Kuja Dosha checking. Matchmaking is very user-friendly. The implementation of Horoscope generation and matchmaking, in kmmatrimony.com has added value to the services they provide. The service is easy to understand which increases their registered members. It has also become an additional revenue stream for kmmarimony.com. MARUTHI COMPUTERS PVT. LTD. is a leading Internet Media Solutions company focusing on providing Internet based services, matrimony, tourism, consultancy etc. Their website www.southindia.com is a leading site catering to the rural and urban audience. They wanted to include daily astrology predictions and career predictions based on Moon signs to their registered members. And it had to be accurate and easy to understand. 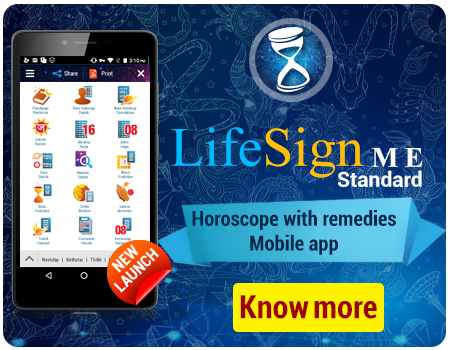 Astro-Vision provided a web application Astrology software which generated daily predictions based on Vedic system of astrology in English using iframes. Apart from the daily predictions, options for preparing additional value added services like Career prediction, Full horoscope with remedies, Gem Recommendation, Numerology, Marriage Matching etc., were also offered for the users of southindia.com. The implementation of daily prediction and career prediction has helped southindia.com in providing value added services to their esteemed users. With this facility the net user can prepare and take printouts of their horoscope reports, gem recommendation, numerology reports, and marriage matching etc., at home. It has become an additional revenue source for southindia.com.